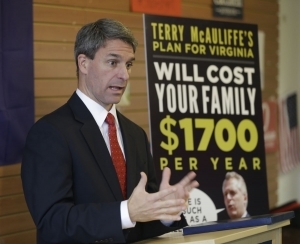 Here is what our independent expenditure campaign is doing in support of Cuccinelli. We are heavy on newscasts but also have bought NBC’s Sunday Night Football, the World Series, FOX & CBS NFL Football, College Football, and the Sunday national political news shows (Face the Nation, Meet the Press, This Week, and Fox News Sunday). As you can imagine, these media buys are expensive. Such is the political arena in which we are forced to fight.